Dependencies and Triggers are used to link one file to another under a particular event. Some files naturally depend on one another to perform and a relationship is required to successfully publish the given files. In order to create these relationships, or as well call them, Dependencies, the pages must be linked and work as one under certain events, or Triggers. In order to make files dependent of one another, we first must create an index to unite them under. 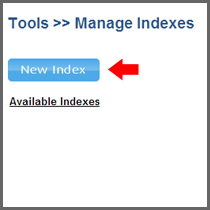 When you log into the CMS, go to Tools > Manage Indexes, and choose “New Index.” Give your index a name, the intended use of the index is a useful way to recall later what the index is used for. 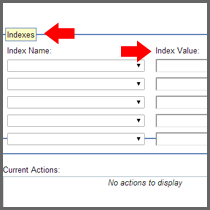 I will name my example index “Test.” When finished choose ok. 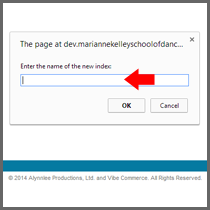 Choose the “Home” link in the upper right hand corner to return to the login screen. Whenever a document is published, un-published, rolled back, or deleted, a trigger can also be performed. 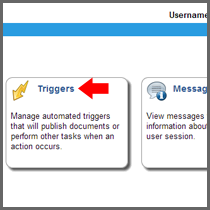 These triggers may publish another document, un-publish another document, or send out an email alert. 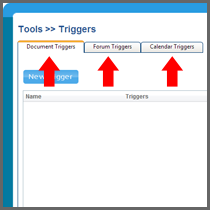 Forum triggers can publish a document whenever a forum topic or comment is created, updated, or deleted. This is useful if you have a document that merges the results of a forum search each time it is published. Whenever the forum topics change, you would need this document to republish so that it receives the latest list of topics. 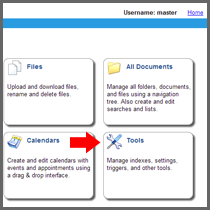 Calendar triggers can publish a document whenever a calendar event or appointment is created, updated, or deleted. This is useful if you have a document that merges events into the page each time it is published. Whenever the events change, you would need this document to republish so that it receives the latest list of calendar events. 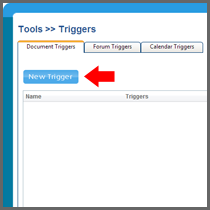 In the “New Document Trigger” dialogue box, the first element to determine is the “Trigger Name,” which is most commonly named after the Trigger function, such as an automatic updater, a roll back, publisher, etc. I will name my Trigger Automatic Updater as an example. The description field can help you elaborate on what exactly the trigger is used for. Lastly, there are a series of check boxes, “Publish, Undo Publish, Rollback, and Delete.” These boxes will act as identifiers for this trigger when viewing all of your triggers from the initial trigger menu. These check boxes do not perform the trigger action, but are merely another way to identify and organize all of your triggers. Next, you’ll want to select what you want this trigger to do from the “Action Type” dropdown list. 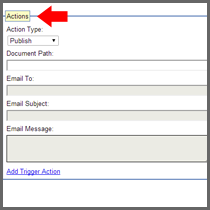 You can choose “Publish, Undo Publish, or Send Email.” This action will only apply to the corresponding set of documents identified in the “Document Path” input box. 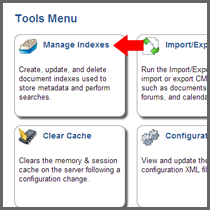 You will need to locate the file path of each file, which can be found under the “General Tab” when you open the file. You must target each file individually and not entire folders. 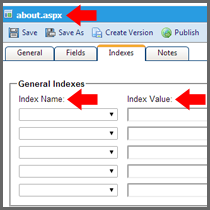 For example if you want to target the “About Us” page in your pages folder, your document path will be \Pages\about.aspx. 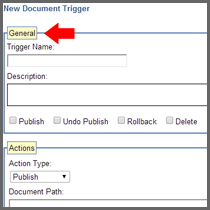 Once you have your document path entered correctly, click the blue link below that says “Add Trigger Action.” This moves the current action and every attribute associated with it over to the right box “Current Actions.” You can assign different actions to different documents in the same trigger by creating new “Current Actions.” Basically, if you apply a "Publish" trigger to your main navigation (Header.aspx), every time an element that is linked to Header.aspx through the back-end of the CMS, is published, the Header.aspx page will publish with it, even if you're not updating the main navigation directly. 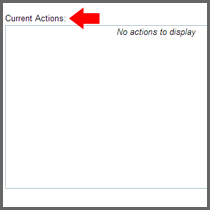 This area shows all of your actions in a list. Each file you intend to target will need a separate action. Click Save and return back to the CMS login screen by clicking the blue “Home” link in the top right corner. You can now test your dependencies confirming the trigger actions you set.